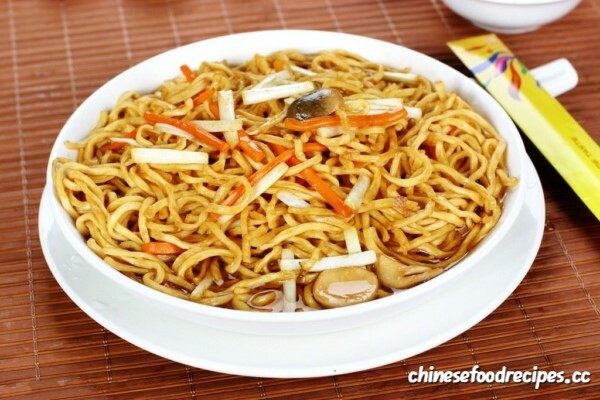 Chow mein and lo mein are Chinese food made from wheat-flour egg noodles. Mein is a Chinese word for noodles. 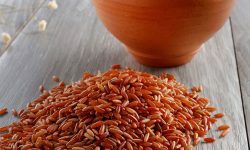 They come from northern China where wheat dishes are more popular than rice dishes. They are also available in American cuisine as well. 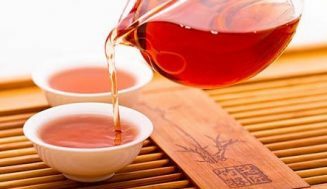 There are also many cuisines found in different regions worldwide. 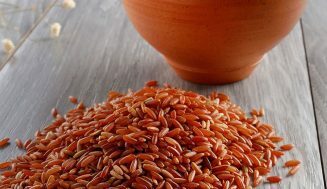 They both have the same nutritional value while the level of healthiness depends on ingredients used. Mein is a Chinese word for noodles. Chow main means fried noodles. The noodles are boiled to crispiness. The term lo mein means tossed noodles. They are usually boiled to softness. 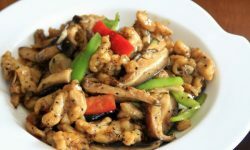 It is a popular take-out food in American Chinese restaurants. Their preparation starts with egg noodles made from a mixture of wheat flour and eggs as they proceed to different methods. Chow noodles are either round or flattened. The fresh or dry noodles are boiled to gain softness. 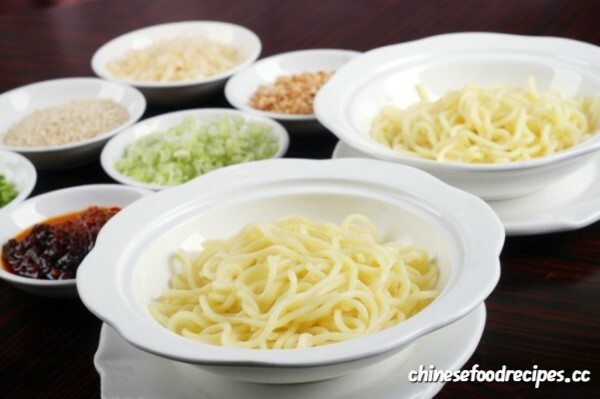 The dry noodles are boiled in water for five to six minutes while fresh noodles are boiled for two or three minutes. These are added to a stir fry mixture and then cooked until they are crispy. Most authentic versions of chow mein in Chinese take-out restaurants have soft noodles. The difference is due to frying time and amount of oil used. Chow mein results in varied texture within the dish. The other method of preparing chow mein noodles is to fry them separately on a pancake. The stir fry meat and vegetables are then poured on top. There are two types of chow mein namely; steamed chow mein and crispy chow mein. The steamed version has a softer texture while the other one is crispier and drier. Lo mein preparation starts with fresh noodles only, preferably 0.25 inch thick. They are also boiled and added to a stir fry mixture with a lot of sauce. They are tossed long enough for them to soak the sauce. The cooking time depends primarily on the noodle thickness as per the package instructions. Italian pastas like linguini and fettuccini can be used as substitutes to Chinese egg noodles. Ramen noodles are also used to make a quick lo mein. The different preparation methods results in varied nutrition. Chow mein noodles end up with a higher fat content since they are allowed to boil for a long time. On the other hand, lo mein noodles may end up with more sodium due to high sauce content. Chow mein dishes include meat such as chicken, beef or shrimp which are stir fried with vegetables. The vegetables include carrots and celery. 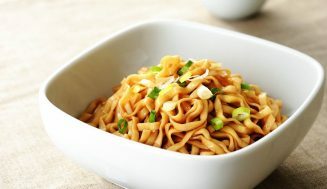 Crunchy noodles and celery are often combined with bean sprouts, mushrooms and tomatoes. Other ingredients include cabbage and onions. They may also include soy based sauce. The steamed chow mein can have many vegetables including cabbage, bean sprouts, onios, celery and carrots. The crispy chow mein has a thick brown sauce topping while the steamed chow is mixed with soy sauce. The crispy one can also be served as a chow mein sandwich in a hamburger style bun. Lo mein dishes include a meat stir fry like beef, shrimp, chicken, pork and wontons. The common vegetables are bok choy and cabbage. The sauce is usually soy or oyster based. It can also be eaten with just vegetables. The wonton soup is served on the side, separate from the noodles and other ingredients. Lo mein dishes use more sauce than chow mein dishes. For the Cho mein, the Brazilian Japanese and American cuisine uses crispier noodles, more sauce and sesame oil. 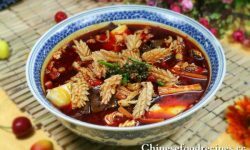 The Canadian Chinese cuisine makes use of thinner noodles which are deep fried and served with a thicker sauce. The South Asian Chinese cuisine served in India mostly features a lot of vegetables served with gravy. The Nepalese Chinese cuisine is served with buffalo meat. The Peruvian Chinese cuisine may contain pepper, tomatoes and green onions. The Caribbean Chinese cuisine includes green beans, peas, carrots, onions among other vegetables. It includes a lot of local spices and served with Scotch bonnet peppers. The Canadian based restaurants offer up to three different types of chow mein. The Australian Chinese cuisine is made of seafood, mainly prawns. The chicken and beef used are softened with bicarbonate soda. 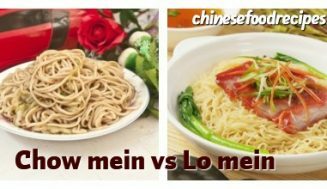 Lo mein dishes don’t differ regionally except in sauce, which transcends regional variation.